Garlic has been used in food and medicine for thousands of years. Archaeologists discovered clay sculptures in the shape of garlic bulbs in an Egyptian tomb dating back to 3200 BC. An Egyptian papyrus that dates back to 1500 BC recommends garlic in treating 22 ailments to include heart disease, stamina, and tumors. 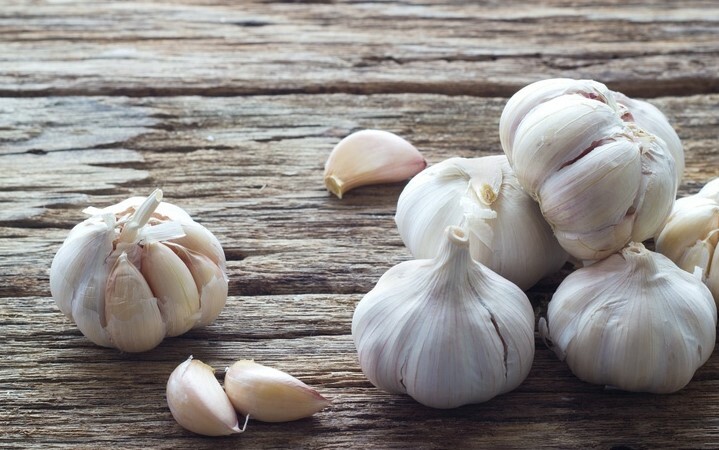 Greek military leaders fed garlic to their troops before combat, Greek athletes took garlic to increase performance, ancient Transylvanians used garlic as a mosquito repellent, and King Tutankhamen was sent into the afterlife with garlic. Garlic was used to battle the plague and during World War, I and World War II, when penicillin was scarce, used to prevent infection and gangrene in soldier’s wounds. In seventeenth-century England, garlic was considered unfit for ladies or the gentleman who wished to court them. Western cultures shunned garlic until the early to mid-20th century because of the unpleasant smell it left behind. It wasn’t until the 1920’s that Americans began to embrace this flavorful and healthy bulb. Today, Americans consume 250 million pounds of garlic annually. Garlic production in the U.S. has decreased steadily in the past decade while imports from China are on the rise. In 2007, the U.S. produced approximately 95 million pounds of garlic and imported approximately 160 million pounds from China. Small farms, like ours, are striving to change those statistics. Eating garlic not only enhances the flavor of your food, there are numerous health benefits to be gained as well. In 1858, Louis Pasteur observed garlic’s antibacterial activity, and it was used as an antiseptic to prevent gangrene during World War I and World War II. Crushed garlic has been shown to kill 23 types of bacteria including listeria, E.coli, Cryptococcus meningitis, Candida Albicans, salmonella, and Staphylococcus. Heated garlic has been shown to lower serum cholesterol by preventing clotting in the arteries. Clinical trials, which were published in the Journal of Hypertension, showed that the blood pressure of volunteers was reduced 1 – 5% after taking garlic supplements. This may not sound a lot but this small reduction can reduce the chance of a stroke by 30-40% and heart disease by 20-25%. Vitamins in garlic, such as A, B, and C, stimulate the body to fight carcinogens and get rid of toxins, and may even aid in preventing certain types of cancer, such as stomach cancer. Garlic’s sulfur compounds can regulate blood sugar metabolism, stimulate and detoxify the liver, and stimulate the blood circulation and the nervous system.